Through time the visual language of textiles have offered up vital clues to the prevailing social contexts, to ideas of what was desirable and fashionable, to the economy and the body politic that was significant at their time of production and use. Examples abound from the late 16th cwoven VrindavanVastra with its images inspired from the Hindu holy text of the BhagavatPuranand on to today’s graphic t-shirts this widespread means of communication continues to endure. 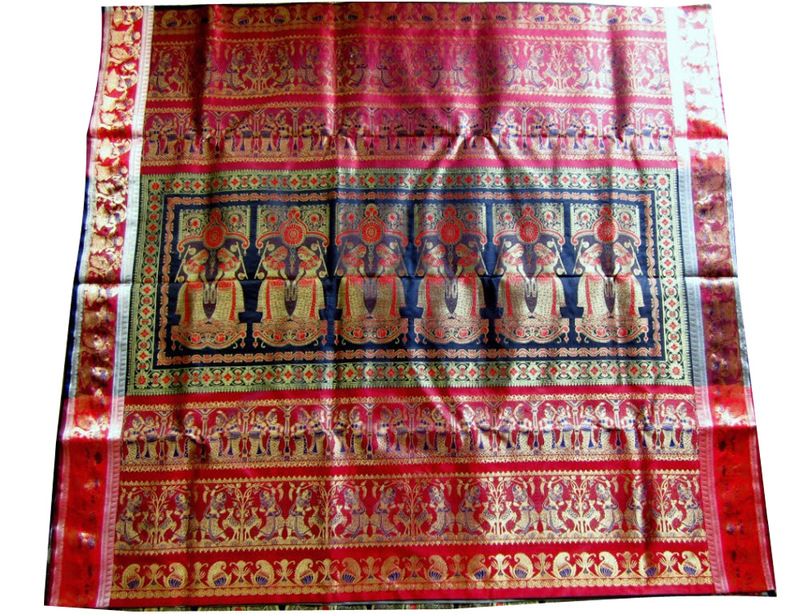 The late 19thcentury pictorial Baluchariweave can be viewed through this prism of history and context with its enduring continuumechoing its past. 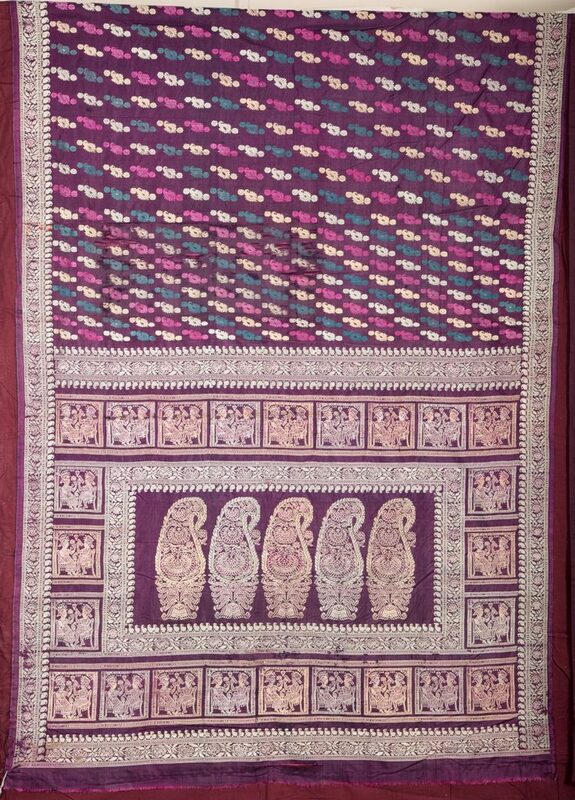 Named Baluchar after the place where they originated the silks were also produced in and around Murshidabad, then the capital of Bengal. 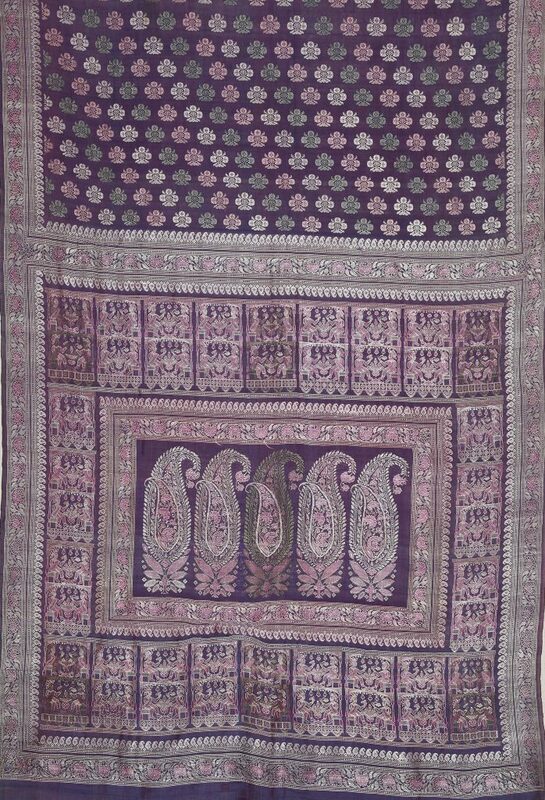 Woven on the complex structurednaqsha/draw-loom using natural-dyed high twist silk for the warp combined with untwisted silk-floss the patterning was a combination of butis/small florals, geometric motifs and differently sized intricately patterned kalka/paisleys. 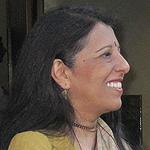 But what made the saris unique was the patterning developments that took place during the cosmopolitan cultural efflorescence presided over by the ruler MurshidQuli Khan. The scroll-paintings of the itinerant Patuas that were unfurled before their rural audiences to the accompaniment of a story-song, portrayed not just religious narratives but contemporary themes, current mores of Bengal society alongside the colloquially termed Angrezor Sahib pat that depicted the goings-on of their English colonial masters. In parallel the early years of the 19th c. witnessed the development of the Kalighatpats sold to pilgrims visiting religious sites. 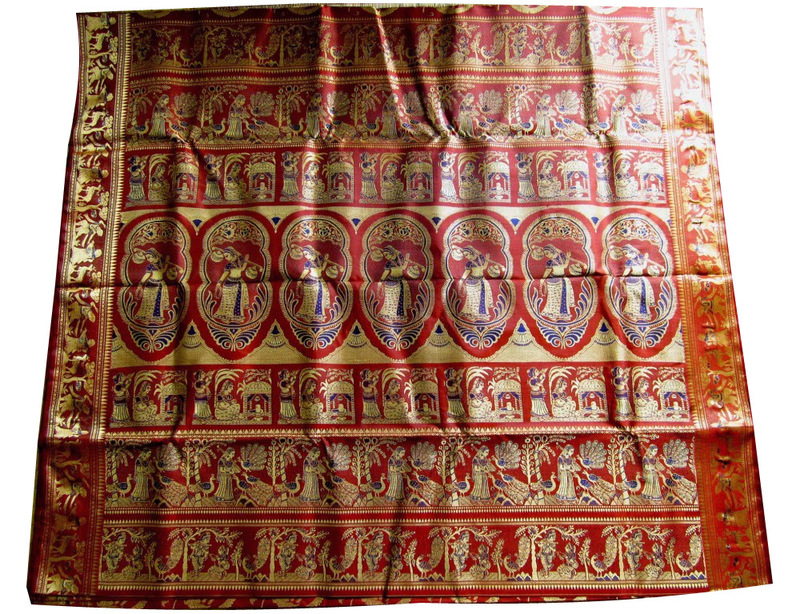 While wood-cuts and metal-engraved prints led to mass-produced reproductions that were circulated widely, their images reflecting the same engagement with society and the polity.The quilted embroideries of the NakshiKanthas of the 19th to the mid-20th c. juxtaposed traditional motifs with images from the world around are just some such examples. 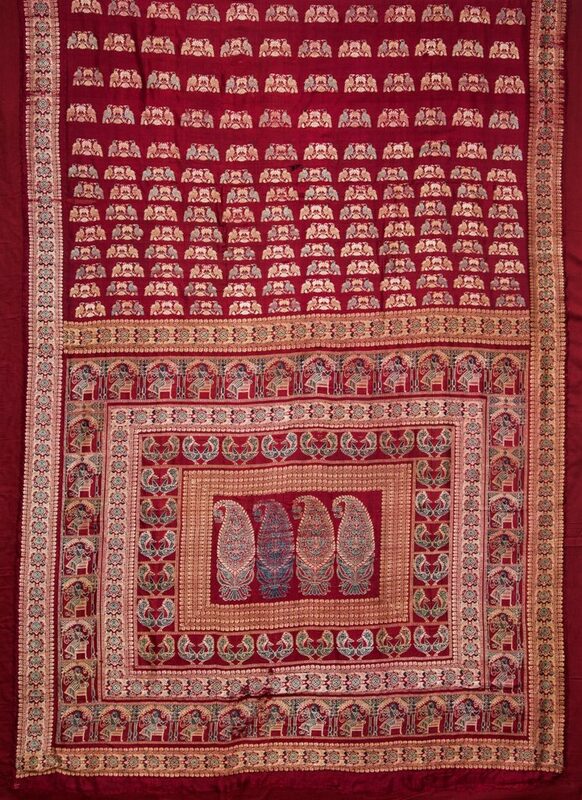 This imagery was akin in nature of the imaginings on the Baluchari weavesthat were interpreted on the draw-loom by the great master Dubraj Das and his fellow weavers. 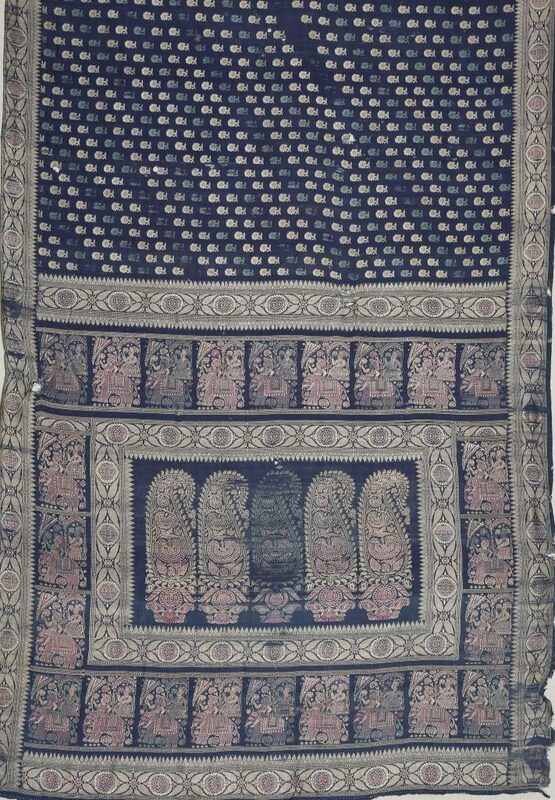 The Baluchari saris Dubraj Das designed were certainly curiosities. The pattern vocabulary was an eclectic mix that finely fused images from two disconnected worlds – that of cloistered women and the ferment in the world outside. 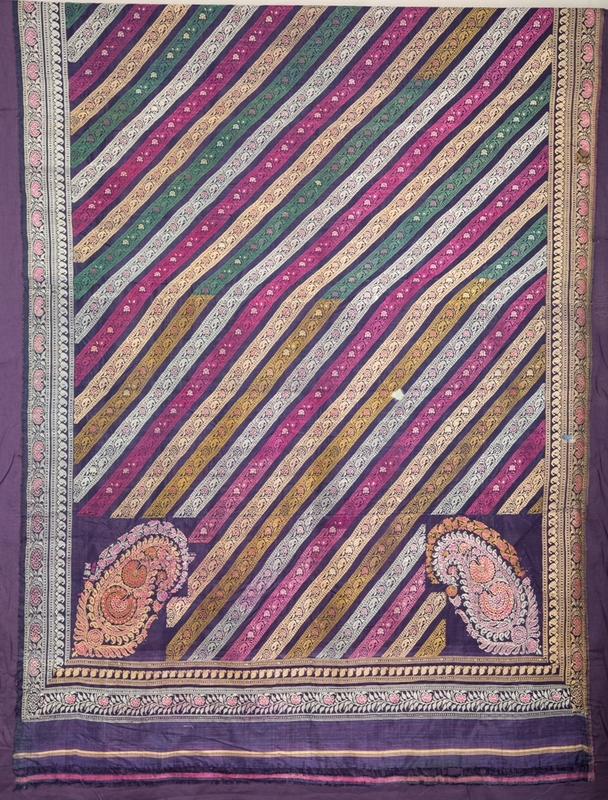 The paisleys and floral motifs were mingled with a vocabulary of images from trains, European officers on horse-back, women puffing the huqqa/smoking pipes, the double-decker steam boats peopled with passengers and crew, processions, court scenes, the royal hunt, amorous couples tozamindars in repose and Europeans – men and women in horse-drawn coaches.Further Dubraj’s signature, woven into the pallu/end-piece of the sari, was itself a rare, if not unique conceit – something that we rarely see even today. This mark of creativity and virtuoso craftsmanship has continued to distinguish and identify his creations for times to come. More than a century after DubrajDas’s passing his influence, directly or otherwise, and the power of his iconic textiles continues its hold on current textile aesthetics. In Bengal the patterning of the Baluchari continues to respond to contemporary narratives while paradoxically having moved further afield, both literally and figuratively from its historic forbearers. Working now on the jacquard unlike the draw-looms of the past, the weavers themselves are now located mainly in Bishnupur and no longer in the Murshidabad district where the Baluchari was woven in the past. 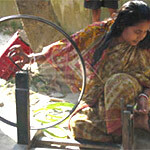 The Balucharis of today have been renewed and re-invented to whatever is considered current and desirable. The wide variety available now includes those woven with tant/cotton, resham/silk and polyester. On offer are the two-shaded Minakari, the kaleidoscopic-hued varieties and the Swarnachariliterally the golden Baluchari that is suffused with gold and silver metallic zari yarn. Unlike the mulberry silk weaves of the past that had no element of zari, the Swarnachari is giving stiff competition to the brocaded Banarasi sari as a must have in the trousseau of a Bengali bride. 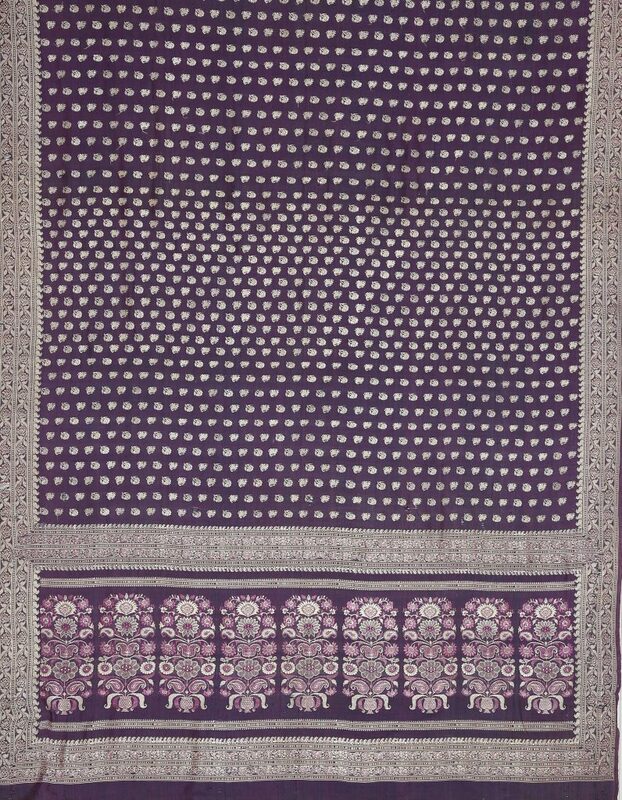 This use of zari seems to be an almost intuitively response by the weavers as N. G. Mukerji’s 1903 analysis of the reasons for the declining sales graph of Baluchari sari where he stated “…at one time very highly prized by the upper middle class people of Bengal. Now the ladies of that class go for the more costly fabrics of Banaras” elaborating “…the competition with the Benaras gold embroidered saris, shawls etc. is too strong even for Dubraj’s goods”. Other changes include the wide and vivid colour palette with catchy shade names like Victorian wisp, truffle talk, toffee tease, tinker-bell, Swiss coffee, scarlet whisper, ginger pop and more, all appealing to current consumption patterns. 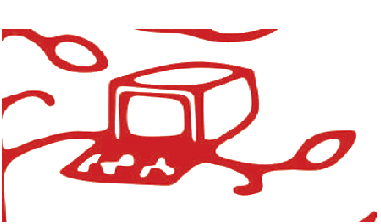 Though increasingly characterized by a capricious contemporary theissues and influences of our age are expressed in myriad ways from simple figuration to the composite and complex with borrowings from both popular and contemporary art, the folk and tribal to those from digital media. The vitality of expressionsin the Baluchari continues to respond and thrive to be taken forward from its historical versions as the influence of its visual language continuing to endure.